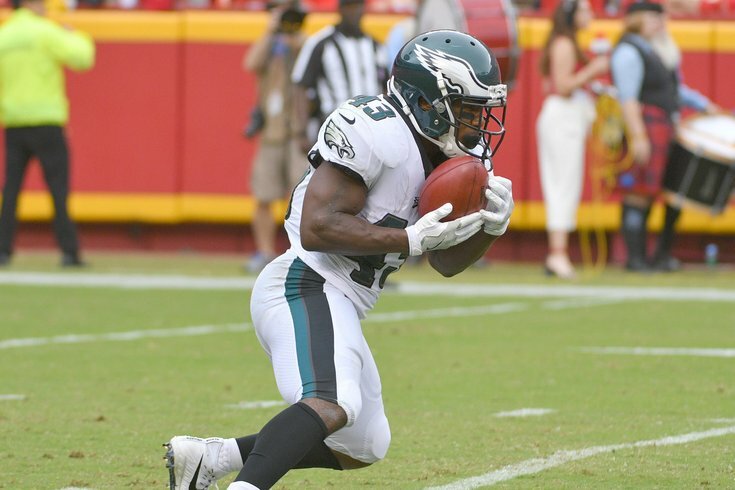 Could Darren Sproles return to the Eagles after all? After the Philadelphia Eagles' 2016 season, running back Darren Sproles said that he felt like 2017 would be his last year in the NFL. Three games into the season, in a win over the New York Giants, Sproles simultaneously broke his arm and tore his ACL on the same play, ending his season. While most close followers of the team did not think Sproles would want his career to end on those terms, it seemed unlikely that he would return to Philadelphia, as he is currently a free agent. That assumption could be incorrect. Doug Pederson wants him to return, and according to Pederson, Sproles wants to return. "We’ve reached out to him during the free agency period, and talked to him," Pederson said. "He’s expressed that he wants to be back here. He knows we want him back here. Heck yeah. He’s a big part of our team. (He’s a) punt returner, he’s a tremendous back, third down guy. So we’ll see what falls out. "He wants to still play, and I want him to play, and I want him to be an Eagle." Should Sproles return, he would be given certain "old guy" privileges, as he has received in the past. "He’s one of those guys, you’ve seen what he’s done in the last couple of offseasons," Pederson said. "He hasn’t been here. He spends time with his family. He comes in from time to time, and I’m not concerned about Darren Sproles going forward. I just know the way he works, the way he trains, the way he gets himself prepared, if and when he decides to sign and come back, come on. We’re ready for him." When Sproles went down in 2017, Wendell Smallwood initially filled his role, before giving way to Corey Clement, who became a more than capable replacement. While Sproles would likely not have as big a role in the Eagles' offense as he has in the past, he would, at a minimum, solidify the punt returner spot, where he averaged an impressive 13.2 yards per punt return in his last full season in 2016. By comparison, Kenjon Barner averaged 8.9 yards per return on punts in 2017. The Eagles don't presently have a reliable punt returner on the roster. Sproles would obviously have to show that he still has juice left in his legs after recovering from an ACL tear, but if so, he would solve one of the team's few remaining needs.